I found this really worthwhile. 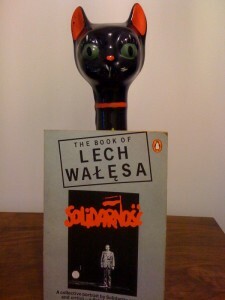 It gave me a real insight into both Solidarity and Wałęsa. One really big misconception that appears to be propagated by the media is that Wałęsa was fighting for freedom as was therefore a capitalist – but no! Wałęsa was socialist – he believed in socialism as the leader of the Solidarity trade union. After reading this I am really interested to see what he has to say about the way things are now in Poland. Perhaps he has written something – but probably not, he seems to be a man of action and improvisation in the grand tradition of Mickiewicz. The structure of the book is well done; it builds up a groundswell until at last in the last interview it is Wałęsa himself. He seems very quick and quite amusing and able to respond with dexterity to the difficult questions asked. The interview with Wajda is also good as are the statements by random people who sent letters. The book is also intriguing because it seems that it was published maybe a year after the August 1980 Solidarity victory in Gdansk where Solidarity won the right to be an independent trade union. 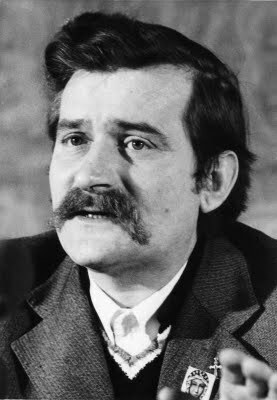 However in December 1981 Jaruzelski cracked down on Solidarity and the leaders were all arrested. During the eighties there was ferment but it wasn’t until 1989 that things changed and the old Party leadership stepped down. So these reminiscences date from the time where they thought change was about to happen and not in the way that it eventually did but though a socialist system where the people did have control. I enjoyed reading this. It’s not going to be to everyones taste quite simply because not everyone is interested in Polish politics. However, I would say that that a knowledge of Poland and the other central states is the key to understanding Europe as whole.